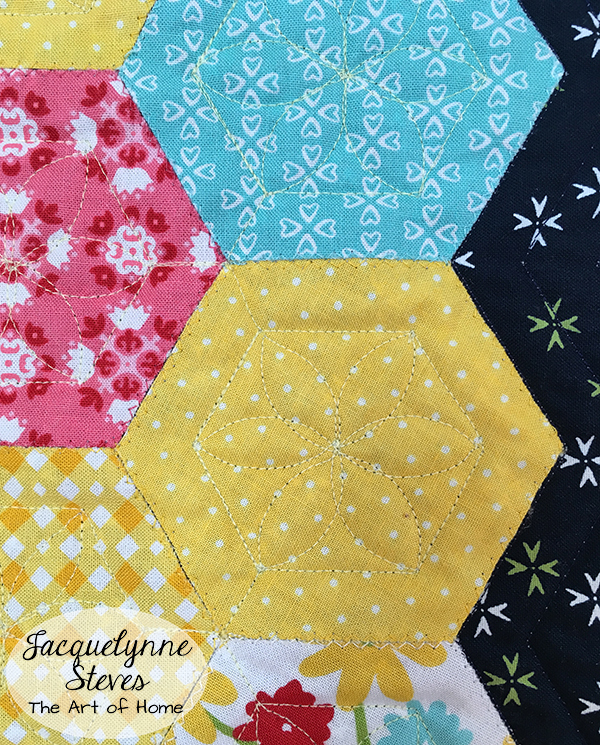 Free Bee Quilt Pattern- Save the Bees FREE Block of the Month! Well, we are finally at the end! I can’t believe it! 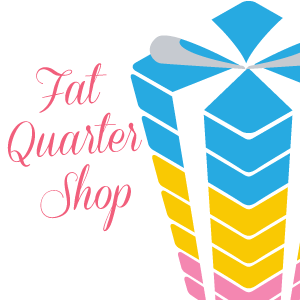 Time has just flown by, it’s been so great seeing your progress over in the free Facebook group– you guys are doing a GREAT JOB on your Blocks!!! OK- time for our final month! 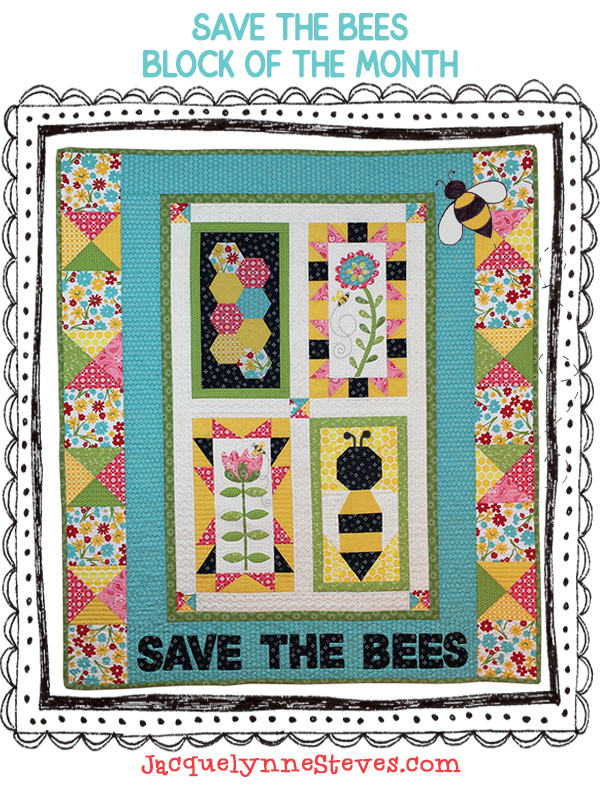 TIP- You want to make sure that your appliqued lettering (SAVE THE BEES) doesn’t get cut off. 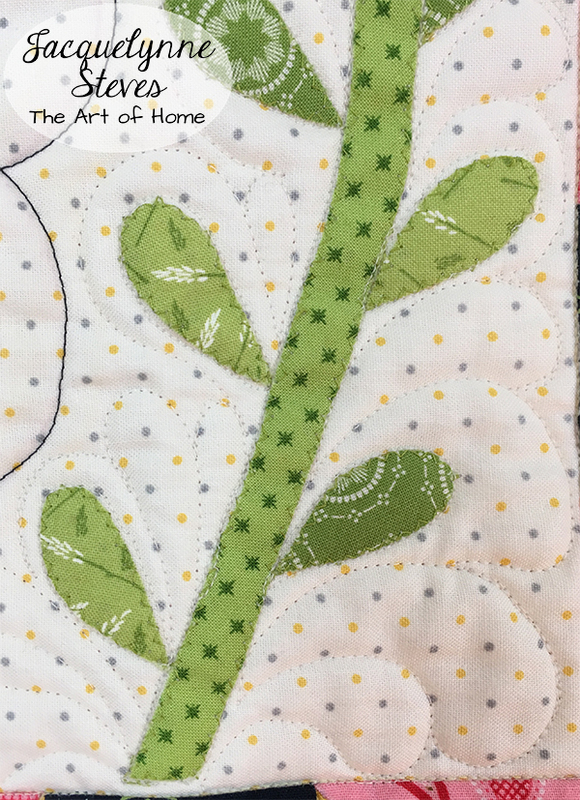 Instructions include measurements for where to place the letters, but you may also want to measure across your quilt to make sure that the letters will properly fall within your border. 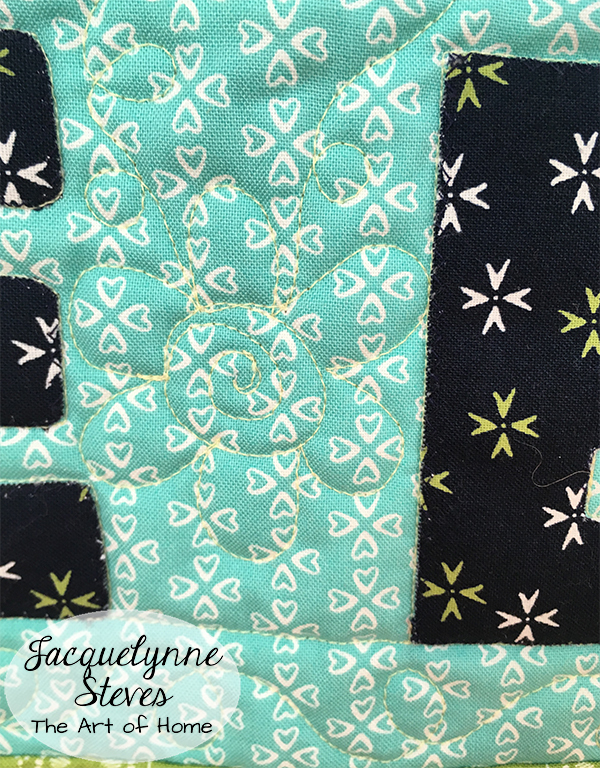 Let’s take a look at the quilting! My long arm quilter Daniela did a fabulous job as usual! You will receive an email with the information in January! The prize will be HUGE- Yippee! 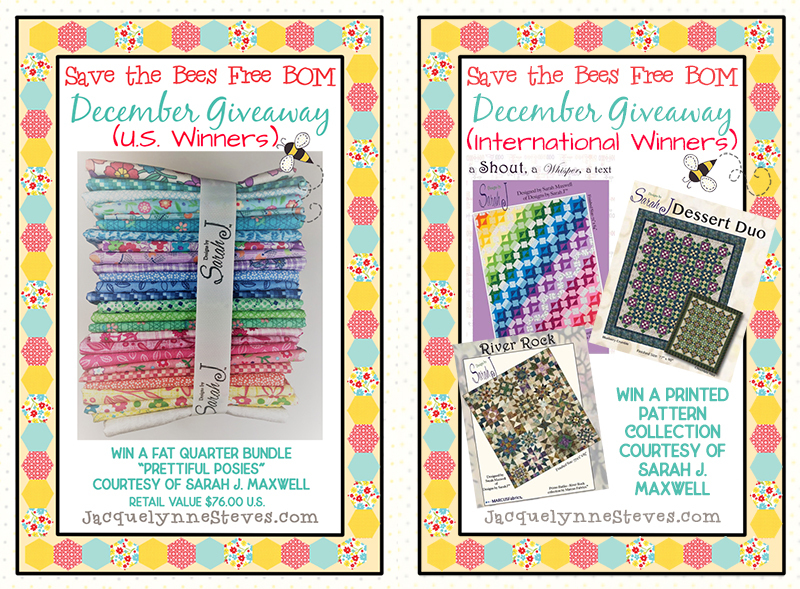 Be sure to visit Sarah J. Maxwell’s site to find out more about her beautiful fabrics and patterns! Beautiful Jacquelynne and thanks for a fun BOM! 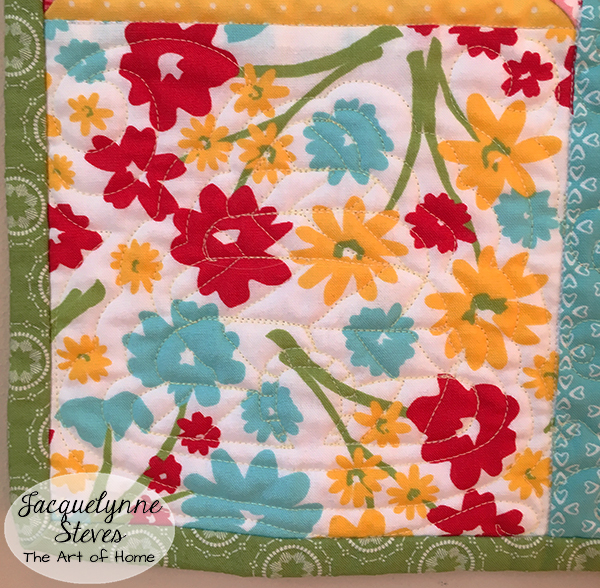 Such a fun project… thanks so much Jacquelynne! 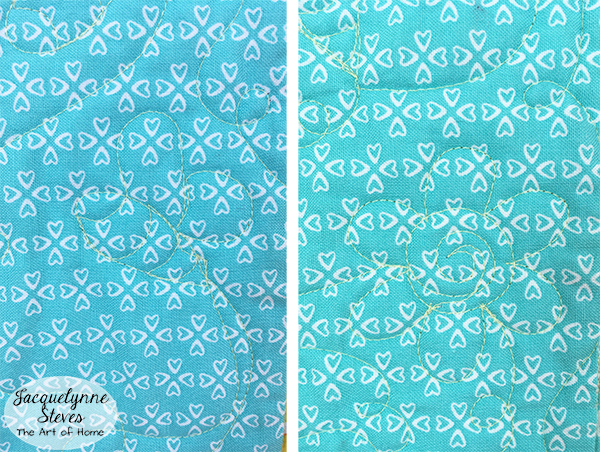 I’m excited to start quilting mine and hope to have the binding on in time for hand stitching over the holidays! This has been a fantastic sew along! I am looking forward to getting my blocks all put together! Thank you Jacquelynne! This was my first BOM. It was really great! 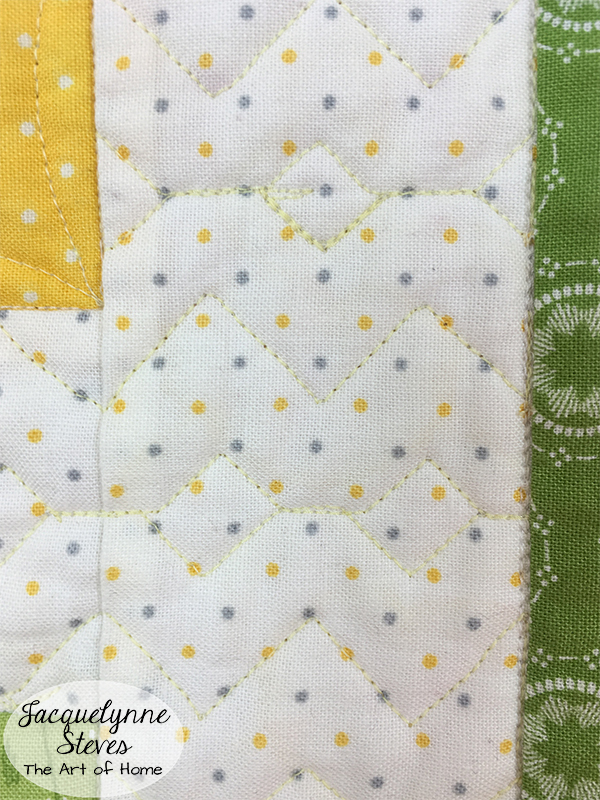 Thanks for sharing this adorable quilt! 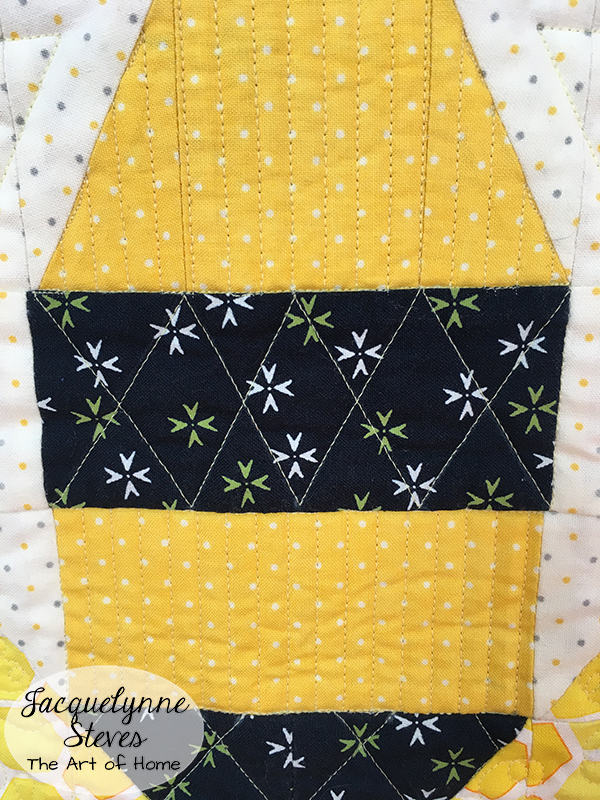 I really enjoyed following along the Save the Bees sew along. I did not have time to join in, but I will be making this in the new year.